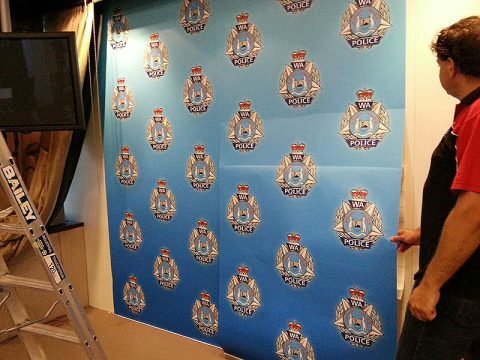 Posts tagged "Wall Graphics Perth"
When the WA Police needed wall graphics, Perth Graphics Centre was called on to make-over the media room. With a new WA Police crest, a new backdrop was created. The original backdrop was made from three panels of acrylic which were vinyl wrapped. While the effect was nice, the gaps between the acrylic sheets was visible, creating a black line every time cameras focussed on it. We devised a solution: clad the wall first and then apply the print over the cladded wall. The effect is a continuous print that looks great under strong lighting and can be used in closeups, too. With matte finish, there is no glare, keeping everyone happy. 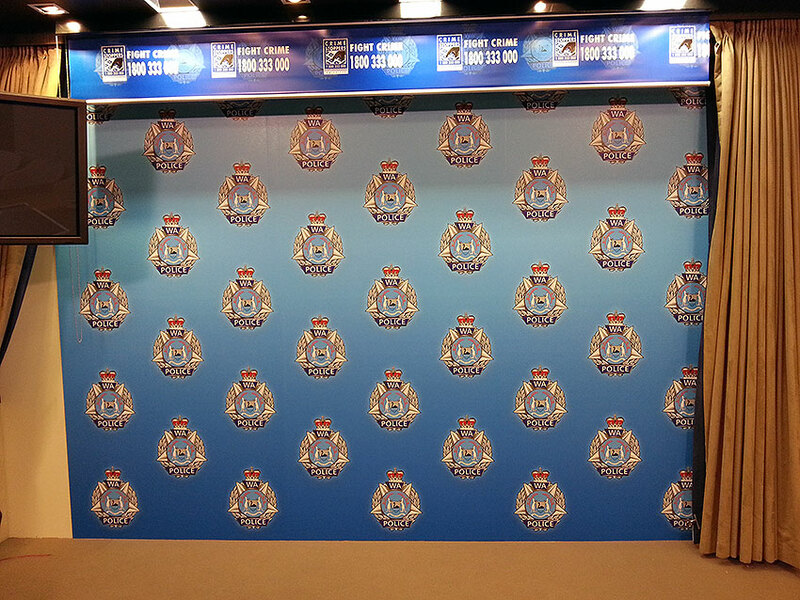 If you’re in need of wall graphics, Perth Graphics Centre is your one-stop shop. Head to our contact page to enquire.